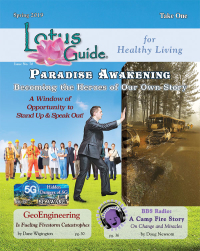 As you Wish Talk Radio, cutting edge authors, healers & scientists broadcasted Live from the ECETI ranch, an internationally known UFO & Paranormal hot spot. Everyone is feeling it. Something is in the wind. Something grand is unfolding on the horizon, just around the corner. A knowingness and feeling that soon it will no longer be business as usual. Is it tumultuous times of exciting social, economic and physical Earth changes? A collective initiation and ascension into Higher Consciousness & Energy? A grand reunion with ancient ancestors from the stars? 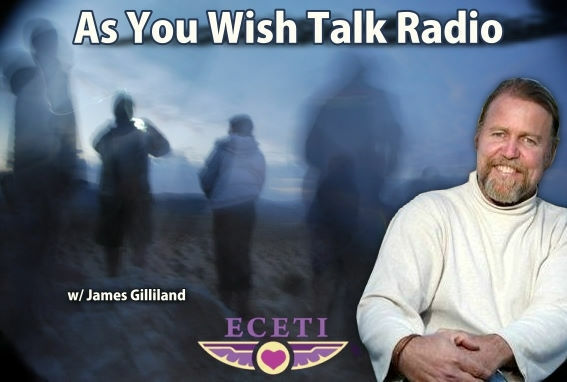 James Gilliland is a minister, counselor, an internationally known lecturer, best selling author with the books, Reunion with Source, Becoming Gods, and The Ultimate Soul Journey. James appeared in Contact Has Begun, His Story, The History Channel, UFOs then and Now, UFO Hotspots. ABC, Fox News, BBC Danny Dyer Special, Paranormal State, ECETI Ranch a Documentary, the new movie Thrive have all featured James and ECETI which he is the founder. 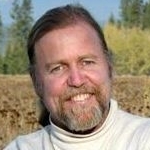 www.eceti.org He has appeared on Coast to Coast, Jeff Rense, and to numerous other radio shows to mention also being the host of, As You Wish Talk Radio, https://bbsradio.com and Contact Has Begun, http://www.photon.net/ He is a facilitator of many Eastern disciplines, a visionary dedicated to the awakening and healing of Humanity and the Earth and teaches higher dimensional realities from experience.